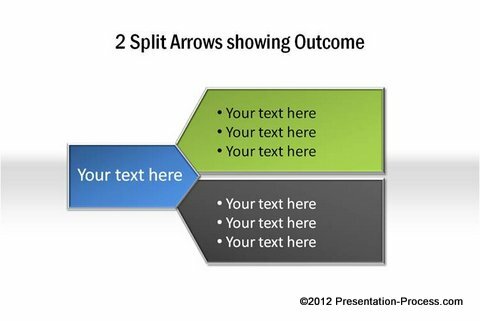 Learn to create a useful split arrow in PowerPoint 2007. 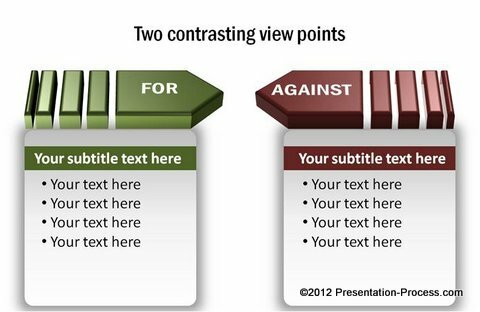 Follow this simple tutorial to create variations of this useful diagram for your business presentations. 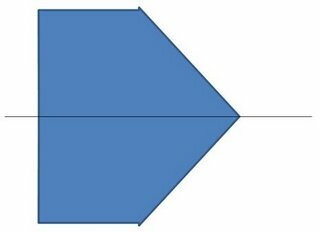 When you create these diagrams in PowerPoint 2010 using ‘Shape subtract’ option, the resultant shape is a single piece instead of individual segments. So they are not easy to edit. 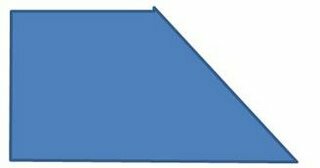 You may need to apply shape subtract again to extract individual pieces. 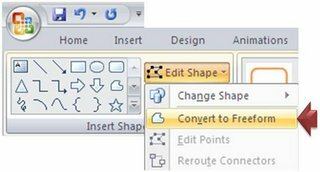 For the Shape Subtract option in PowerPoint 2010, you will need to set up your quick access toolbar. 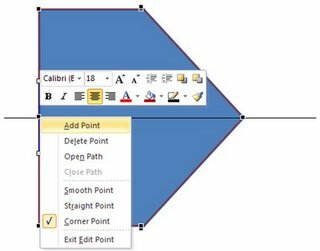 In this article, you will learn to create the diagram in PowerPoint 2007 by using ‘Convert to Freeform’ tool. The technique gives you easily editable pieces which you can alter to suit your requirements. 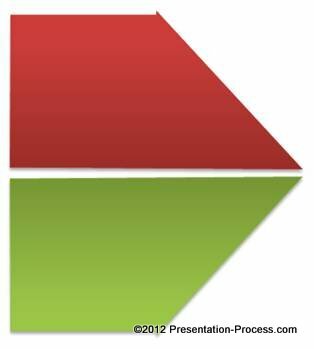 Where to use segmented arrow in your presentations? Select the arrow and go to ‘Format’ tab. Open the ‘Edit shape’ drop down menu and select ‘Convert to Freeform’ option. Now the arrow is a freeform shape, which is easy to edit. Right click on the Arrow and select Edit Points option. 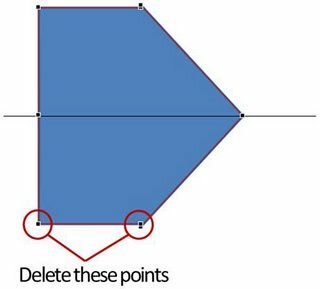 Then click on the point where the line and base of the arrow meet. Select ‘Add point’ option. 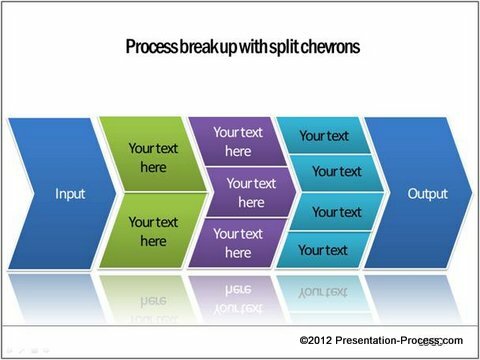 So, by using various tools in PowerPoint you can create a library of useful diagrams for your business presentations. 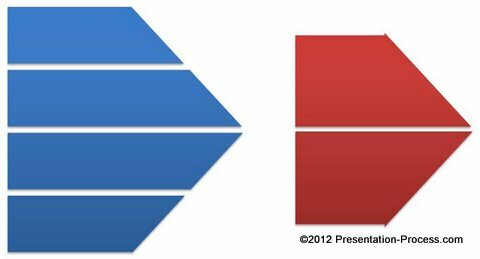 When you take the time to explore the various options in PowerPoint you can come up with some remarkable diagrams. Unfortunately most business presenters don’t have the time to explore the tools in detail. So, they end up creating ‘ordinary’ slides that are soon forgotten by the audience. Why waste your valuable time creating diagrams from the scratch when you have such a high quality solution available off the shelf?